Rumors abound on how safe microwave oven use is, including whether it's harmful to use water heated in a microwave oven. Some people say this water isn't even safe for plants. These rumors are false, however. Regardless of whether it's heated on an electric stove, gas stove, over a campfire or in a microwave oven, water is safe to drink and to use on plants -- after it cools, of course. A microwave oven heats water in a way different from other methods, such as a pot on a stove top. 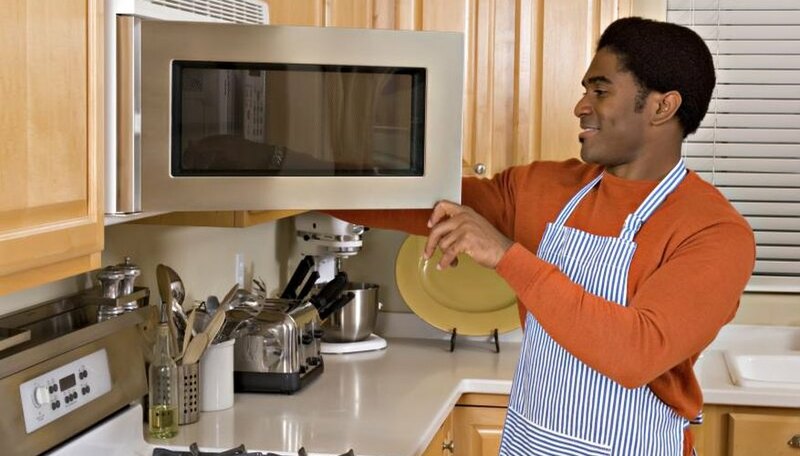 Instead of applying direct heat, a microwave oven has energy wave that move back and forth at a fast rate. These waves penetrate the water and pick out polarized molecules, or those that have one end holding a positive charge and the other end holding a negative charge. The waves cause these molecules to move and bump, creating friction, which leads to heat. Water is made of polarized molecules so heats easily in a microwave oven. Although water molecules respond well to the energy waves used by a microwave oven, they don't change as they get hotter. There haven't been extensive studies on the effects of microwaving water and food, but the overwhelming consensus is that microwave ovens don't harm the water and food they heat. When you water plants with water that was heated in a microwave oven, it's the same as using water directly from the tap -- unless you use hot water directly out of the microwave oven because that water could burn the plants. Use only lukewarm water to feed your plants. If you've noticed a problem with plants that you fed water heated in a microwave oven, then the problem could be the water source, not the microwave oven. Tap water contains chemicals such as chlorine and fluoride that can damage some plants. Hard water that has passed through a water softener often contains salt, which can change the salinity of soil and over time kill the plants in that soil. In most cases, however, tap water is safe to use when watering most plants, according to North Carolina State University's website. If your plants seem sensitive to your tap water, use a non-treated water source instead. Rainwater works well, and typically not much is needed; outdoor plants already get rainwater, and so it can be collected mostly for houseplants. Bottled water is usually free of chemicals and impurities, making it another ideal water source for plants. Scientific American: Is There Any Evidence that Microwaving Food Alters its Composition or Has Any Detrimental Effects on Humans or Animals?